Last November, Amaiya Zafar flew 1500 miles from her hometown of Oakdale, Minn., to Kissimmee, Fla., to take part in the Sugar Bert Boxing National Championships, only to be told at the last minute that the fight had been called off and she had been disqualified from the tournament. 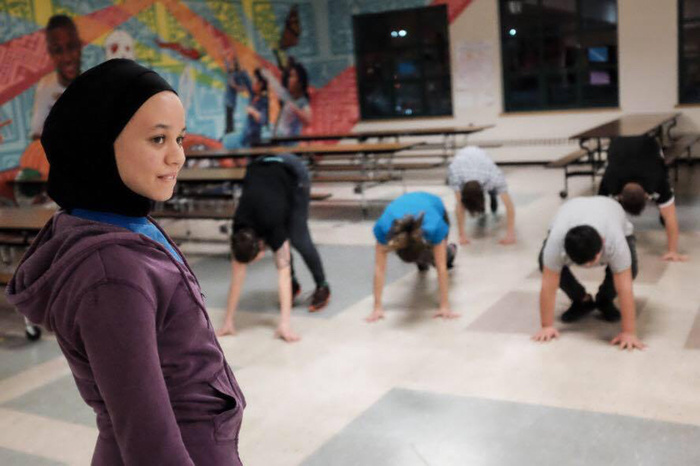 Zafar, a 15-year-old devout Muslim, fights in a hijab under her headgear and a shirt and leggings under her shorts and top, all of which constitute a violation of the uniform regulations of the International Boxing Association and USA Boxing. Extra garments, event officials told Zafar, were a safety issue, so she wouldn’t be fighting that day. Zafar was disappointed but not surprised. A year earlier, she had petitioned USA Boxing and the IBA to change their religious garment rules before a Golden Gloves event in Minnesota, but she hadn’t been able to fight then either. Now a year older and wiser (and living in what American voters had just decided was Donald Trump’s America) Zafar was once again out of luck. She headed back to Oakdale to resume training and to keep lobbying USA Boxing to change their rules. Well, let no one ever tell you anything is impossible in America—not even in Trump’s America. 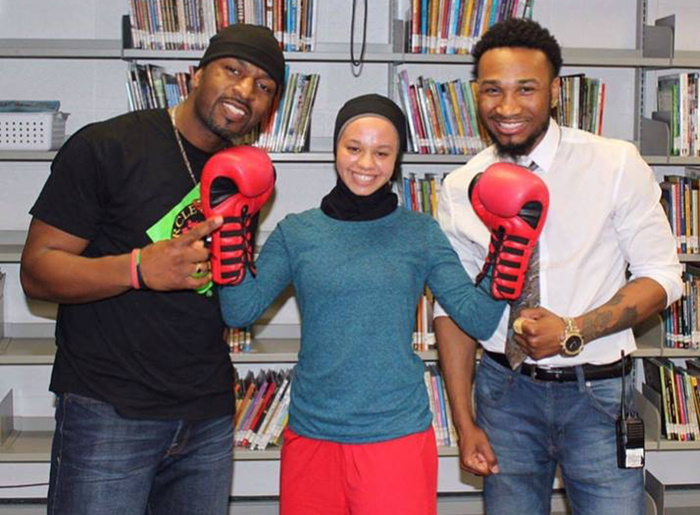 Because last Thursday Amaiya Zafar received a phone call from her coach telling her that USA Boxing had decided to adopt a new religious-exemption rule and that she, Zafar, would be the first athlete ever to wear a hijab during a sanctioned American boxing match. According to the Council on American-Islamic Relations (who took up Zafar’s cause back in 2015), USA Boxing will put the new rule into effect in June but will grant Zafar a waiver to compete at a sanctioned match scheduled for next week. Zafar’s victory couldn’t come at a better time, not just for her boxing career but for the world at large, what with the rise of Trump here in America and the strong showing of white nationalist ghoul Marie Le Pen in yesterday’s presidential election in France: both of whom have gotten to where they are by demonizing Muslims. Her victory is even more pointed considering a recent decision by the European Court of Justice upholding the right of employers to ban staff from wearing hijabs at work, a ruling many critics have called a barely veiled attack on Muslim women. So it’s no wonder CAIR declared Zafar's victory a "step forward in the continuing struggle for religious freedom in our state and nation." But for Zafar, Thursday’s victory was just a first hurdle. If she hopes to compete in the 2020 Olympics, the International Boxing Association will have to follow USA Boxing’s lead and change its uniform code to allow for hijabs in the ring. Much of the work trying to convince the IBA to do just that will fall to Shirzanan, a group that advocates for the rights of female Muslim athletes around the world. That organization has been lobbying numerous sports groups to drop their restrictions on hijabs ahead of the 2020 Games, including the International Basketball Association, and they believe USA Boxing’s decision will be a great leap forward for their cause. "The exemption issued by USA Boxing is a significant advancement for observant Muslim females," Shirzanan co-Founder Mara Gubuan told NBC News. "I trust the [the IBA] will reinforce this act of inclusion by modifying their rule as well."